Autoweek “Insanity! 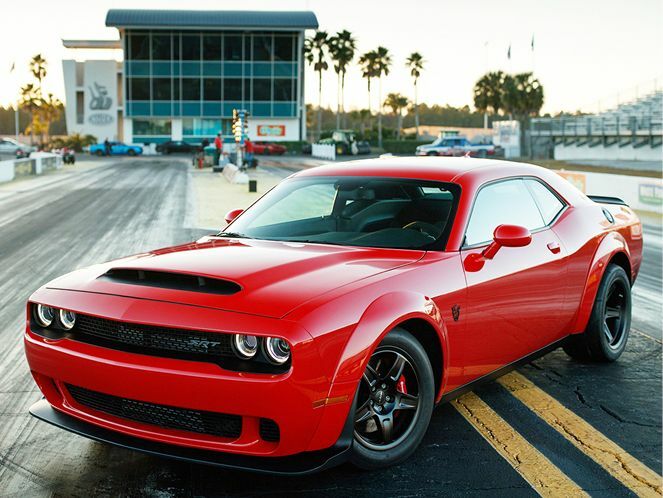 Pure, unattenuated, straitjacket-worthy insanity.” How else can we describe the new Dodge Challenger SRT Demon, a street-legal drag racer that can reach 60 mph in 2.3 seconds? Faster than any gas-powered production car aside from Bugatti’s $3 million Chiron, this “exclamation point on wheels” flexes a V-8 with a “brain-squishing” 840 hp and 770 lb.-ft. of torque—and that’s all you really need to know.